The temple Eiheiji was opend in 1224 by Zen-master dogen. It is located to the mountain back of Fukui Pref. 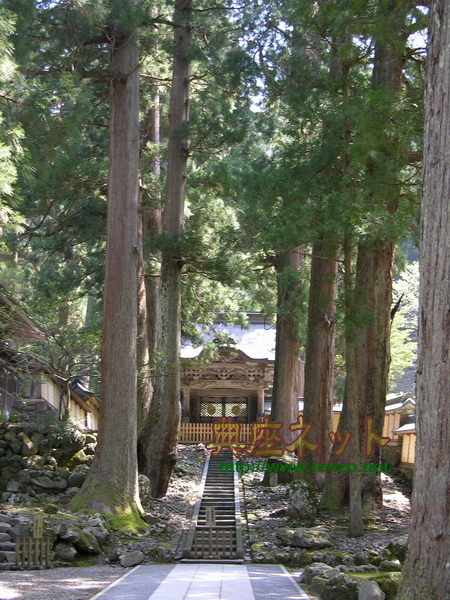 Eiheiji is the head temple of Soto Zen sect. Sojiji of Yokohama is the head temple for Soto Zen sect, too. The Eiheiji is meeting fire several degrees in the past. It reaches at present through the reconstruction and repair of several degrees. we can hear well the voice of the bird or insect , sound of river that flows. It is an optimal place to Zazen training. Many young priest-trainees gather here every year, In quest of a true enlightenment. Atmosphere of the Eiheiji is very severe. Every day the training of the Zen is repeated in accordance with the manners of from old times. 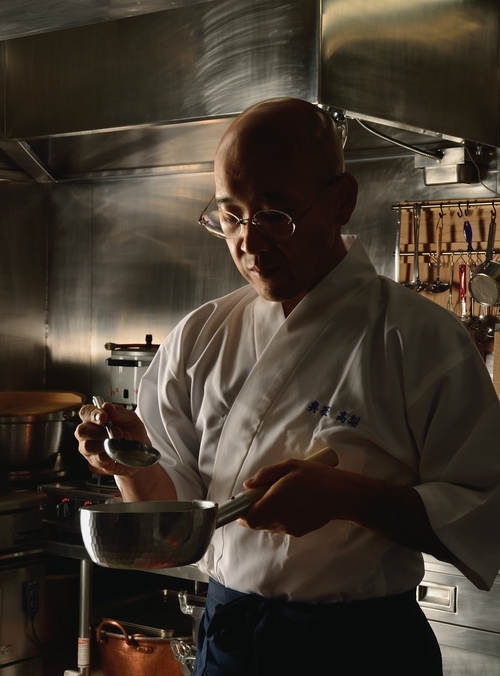 In the least there is no change from the era of dogen. The greatest priest of the Eiheiji is called the Zen-master, in the duties of a chief priest. Now the chief is Zen-master MIyazaki, one hundred years old, he does Zazen in the priest`s Hall as dogen every day. Priest-trainees admire the virtue of his mentor and gather in Eiheiji. The main gate of Eiheiji is called “Sanmon” . There are two big wood-signboard here. 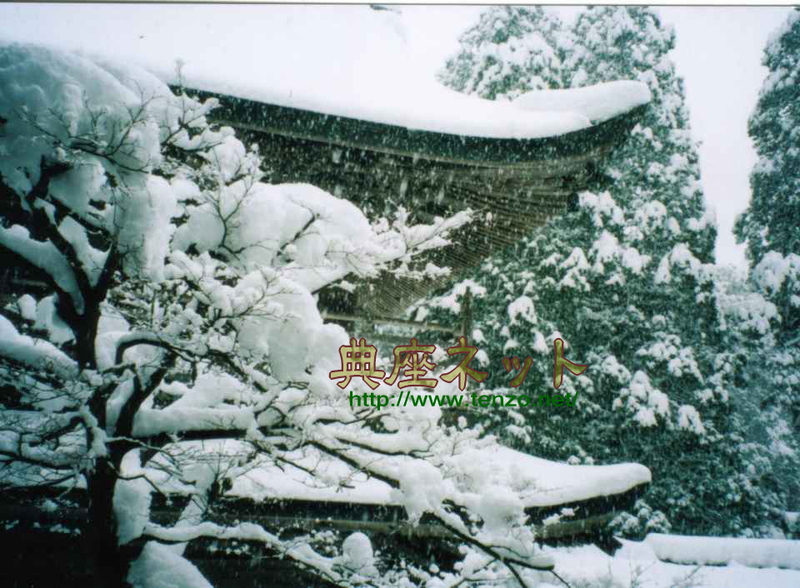 ” Atmosphere of Eiheiji is very severe. ” All person who requests Buddhism really can enter freely because of there is no key or chain in this old gate. ・Training on the day begins from washing the face. As for the manners of the washing face dogen conveyed for the first time from China to Japan. Even now priest-trainee is keep the manners, using 1 cup of water of only wood tub we wash our face as training of Buddhism. ・After that the Zazen in morning begins at Sodo(a Hall of priest). Even who is unable to talk during Zazen. All the signals are told with sound by striking the wood board or drum or bell. The space is filled by stillness, we only sit diligently. When Zazen ends priests wear the surplice (kesa) . and they move to Hatto(a big hall for ceremonies)from Sodo. First of all they worship to Buddha and do sutra-chanting . The voice is very solemn and It seems to wash the heart of the person that hears it. When the ceremony ends they move to Sodo once again, and morning meal begins. They have one plate called “Ouryoki” for using appropriately it according to quantity. It is divided into several size plate and usually it is piled up like one dish. This Ouryoki is one of few goods the priest can possess. Charges of the distribution serve the meal to the plates. I don`t know why but We feel it very very deliciously when we take the meal at Sodo as the rule. Training of Eiheiji is not only Zazen with silence. Cleaning in the morning is a very intense exercise. We clean the wide institution of Eiheiji with like running. So, it is called the Moving Zazen. Zazen, cleaning at the garden, lecture, calligraphy, Sermon , etc. Serious heart of Buddhism training stays in all the done.